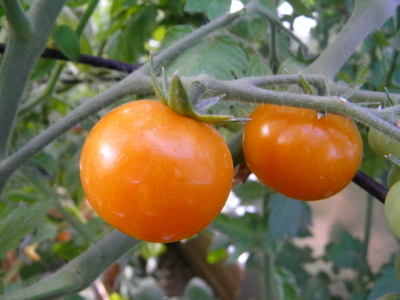 Given the uncertain climate, it is a good idea to plant several very early tomatoes which will either set ahead of the summer heat or make in a short, cool summer. These are the tomatoes we take first to market and they are great throughout the season. We have been crossing back to wild relatives of the tomato and finding rare varieties from far northern and southern latitudes. Within several years we hope to release truly freeze-tolerant tomatoes. Varieties which have been tested for and show cold tolerance are marked with an asterisk.